Automator script syncs your iPhone to your Mac in one click. Is there a better alternative to iPhone Sync? Is iPhone Sync really the best app in Backup category? Will iPhone Sync work good on macOS 10.13.4? 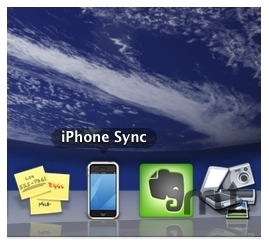 iPhoneSync... Sync with one click from Your desktop! This Application launch ITunes and start sync of Your iPhone, iPod. Sync with one click from Your desktop!